Improve your campaigns by using animated GIFs in your emails. Start from a custom size or grab a template from our gallery, customize them as you like and add them to your emails. 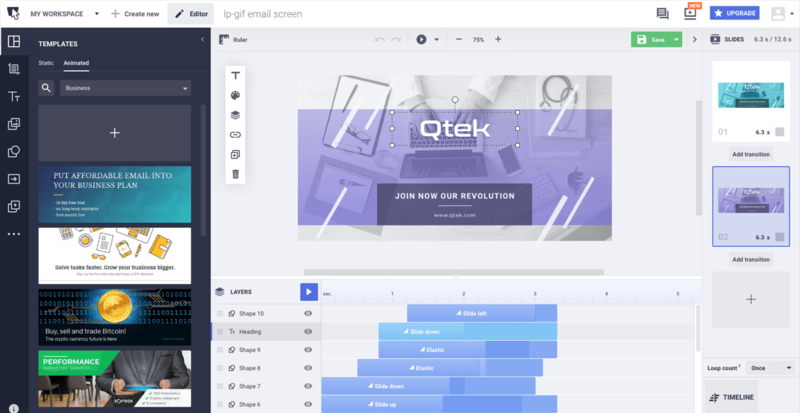 The most powerful online visual editor allows you to create an email GIF in minutes. With Bannersnack, it’s just a matter of drag-and-drop. Download your work in any of the following media formats: JPG, PNG, GIF, HTML5 or MP4 at the highest quality possible. Generate more engagement from your emails by using animated GIFs instead of traditional static visuals. Animated GIFs, just like videos, draw more attention and act as visual cues to your audience. 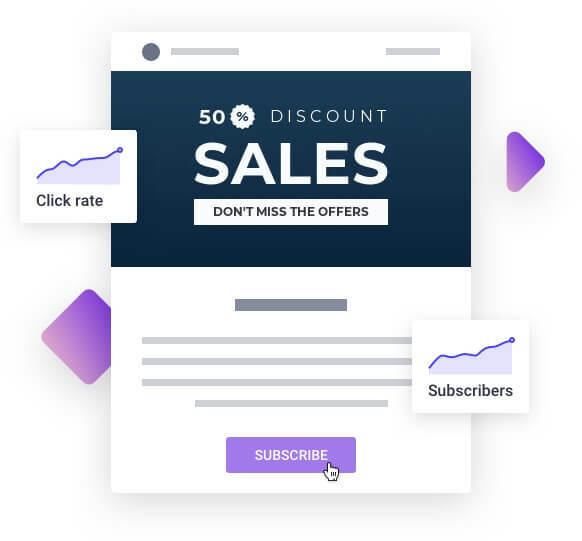 Recent studies show that adding subtle animations can increase your email clickthrough rates by up to 26%. Click on the different presets to see them in action. No coding skills or designer needed. Thousands of high-quality images waiting for you to pick and make them alive by using animations. We have a huge collection of classic and trending fonts but you can also upload and use your own fonts. Alpha, Fade, Bounce, Scale. Try our animation presets to surprise your readers. Thy will love them. Ready made templates created by our professional designers waiting for you to chose one. Achieve high color quality and optimal size for your animated GIFs, Enticing and high performing at the same time. Find anything you want in our infinite clipart, illustrations, and graphic arts library. All you need to be creative. Supported by all major email clients: Gmail, Yahoo, Outlook, AOL and so on. Compliant with all email providers.